PHUKET: Phuket has survived Day 2 of the Seven Days of Danger road-safety campaign for the New Year still with zero deaths in road accidents since the campaign began at midnight Thursday night (Dec 27). 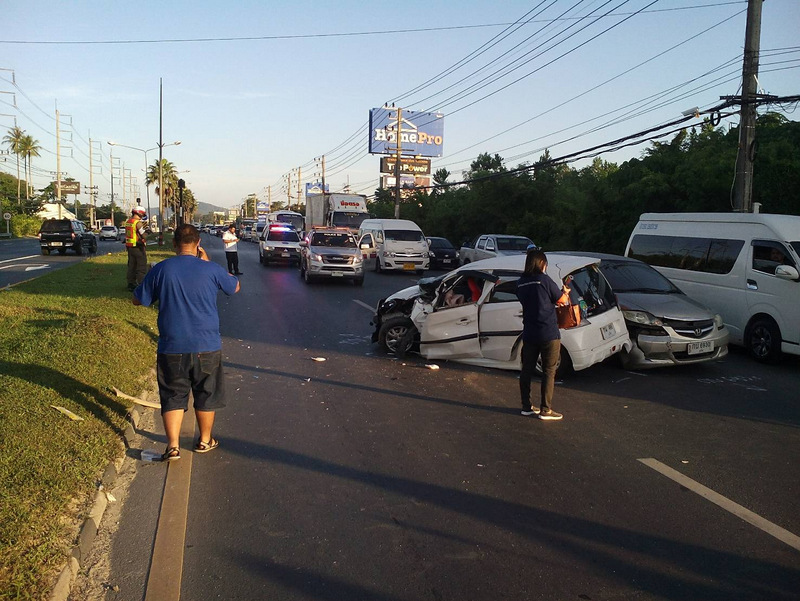 However, eight people were injured in eight accidents on Day 2 of the campaign, from midnight to midnight yesterday (Dec 28), the Phuket office of the Department of Disaster Prevention and Mitigation DDPM-Phuket) reported this morning. 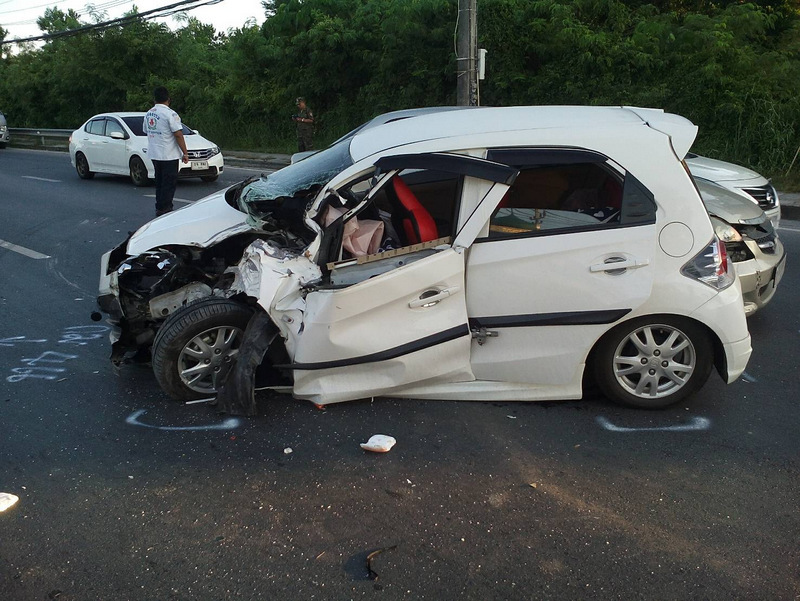 In one accident last night Vichai Kaunsang, 40, suffered head injuries and a broken leg after his car motorbike collided with a car on Patak Rd in Koktanode, Karon, the DDPM noted in its report. Mr Vichai was not wearing a helmet at the time of the accident, and was taken to Vachira Phuket Hospital in Phuket Town. • 39 fined for using mobile phones while driving. • 30 people were arrested for drunk driving during the period. 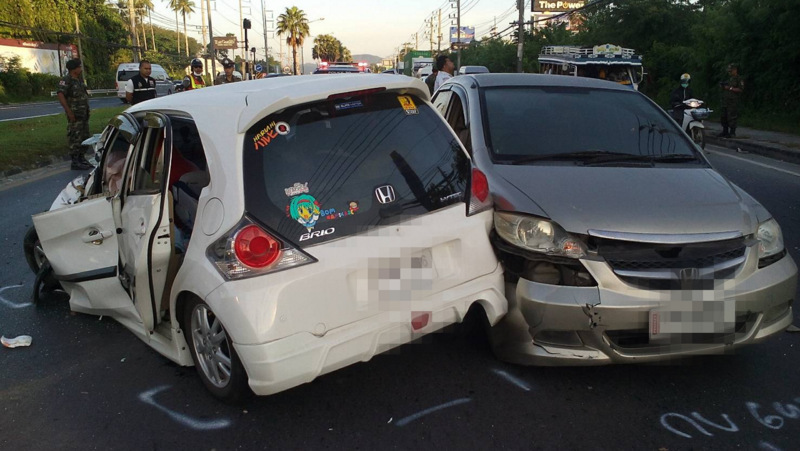 The road collisions continued in Phuket this morning as a woman driving a white Honda Brio struck the back of a truck and trailer at speed on Thepkrasattri Rd in Thalang at about 7:30am. The car spun and came to rest in the middle of the road after colliding with another car whose driver was unable to avoid the collision. 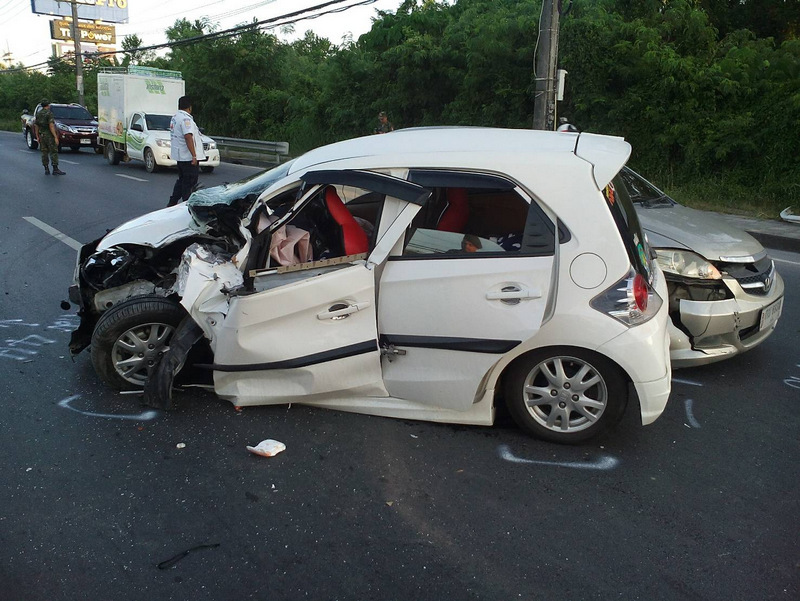 Rescue workers reported injuries at the scene and rushed the woman and her 1-month-old* child in the Honda Brio to hospital. The extent of the injuries were not reported. 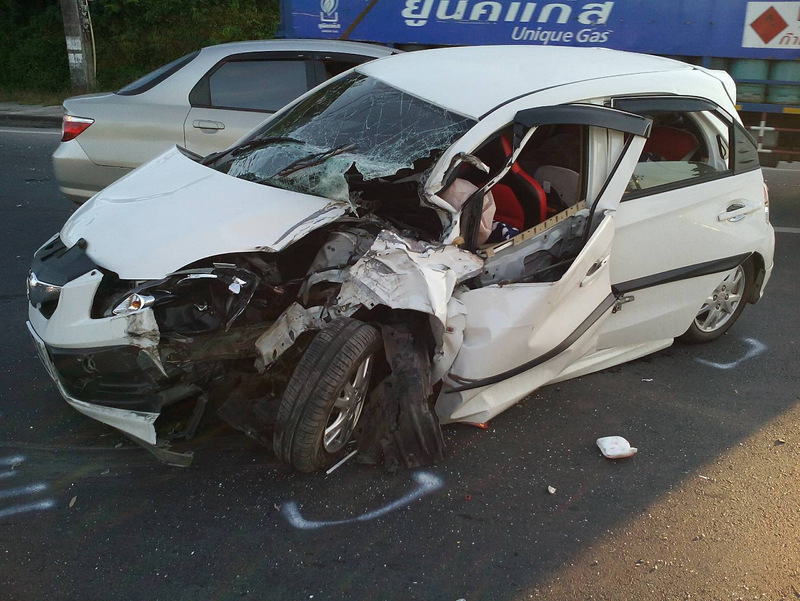 UPDATE: The DDPM later confirmed that the baby in the accident, a baby girl named Nalinipha Taophet, died from injuries sustained in the collision. She was one month old, not one year old as originally reported. 554 fines (almost half of the total) for no helmet in just 24 hours! Wow. Just think the improvements that could be made if that much effort was put in every day. Meanwhile we see (an HEAR) people committing all the offences listed here on literally every corner of every road every day.